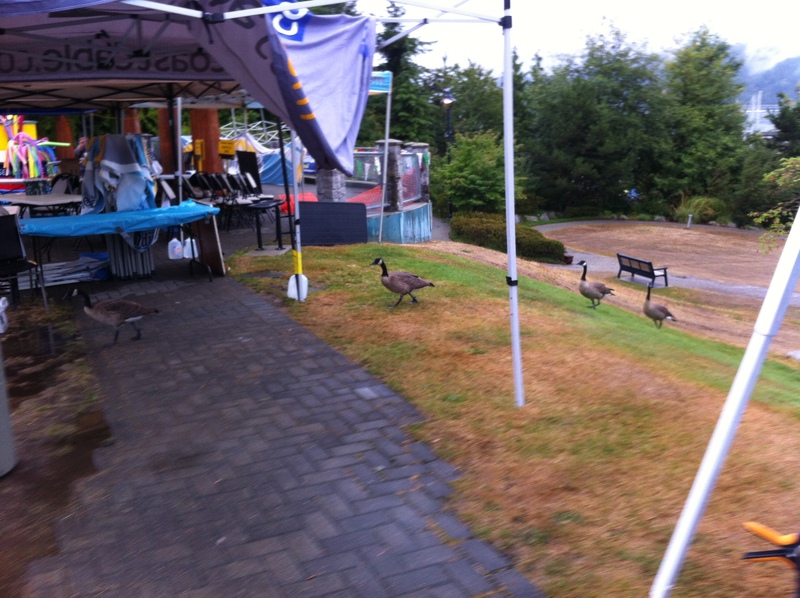 Yesterday we tallied 510 visitors to our booth and the solar scopes at Sea Cavalcade 2016. 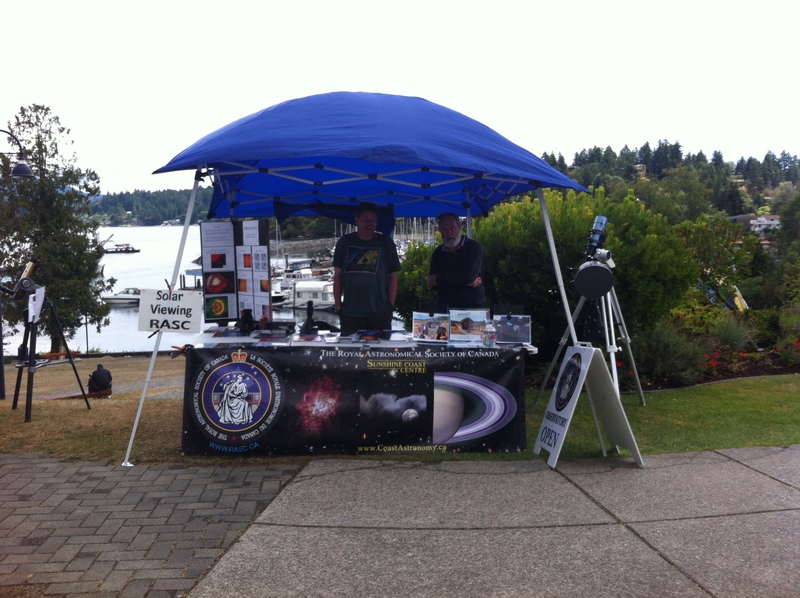 Scott, Mike, Sam Casoria, Charles, and David worked the booth and telescopes. Guest appearances included Errol Lipschitz, James MacWilliam, and Neil Sandy. We will be setting up our information booth at Gibsons Sea Cavalcade 2016 on Sunday, 24 July, at 9 AM and will be there until 4 PM. 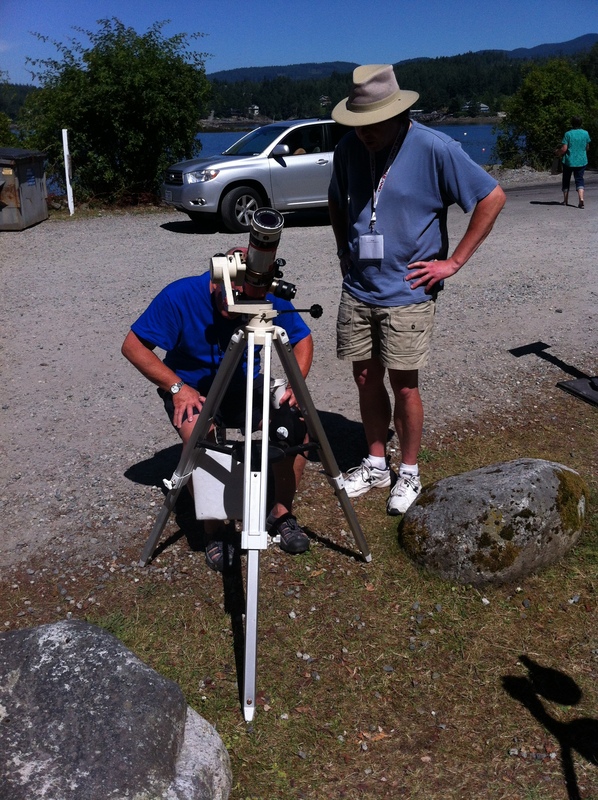 We’ll have our solar scopes set up to view sunspots and solar flares. Any members who’d like to drop by and assist would be very welcome. Our Sunshine Coast Centre will be setting up an information booth at the Gibson’s Sea Cavalcade on Sunday, 26 July this year. 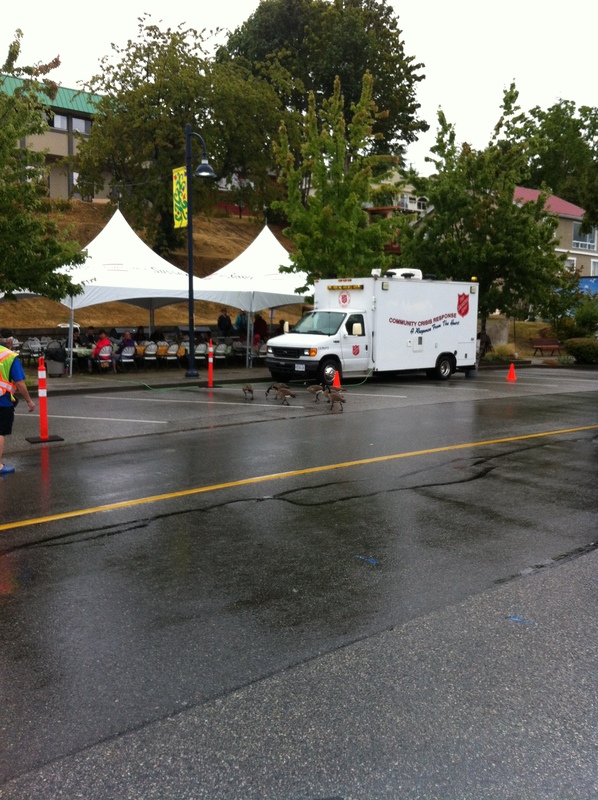 Our RASC Centre will be there near the bus stop in Winegarden Park from 10 AM until 4 PM with our solar scopes to view sunspots and solar flares and an information booth. We hope to see you there! Gibson’s Sea Cavalcade occurs 26 – 27 July this year. 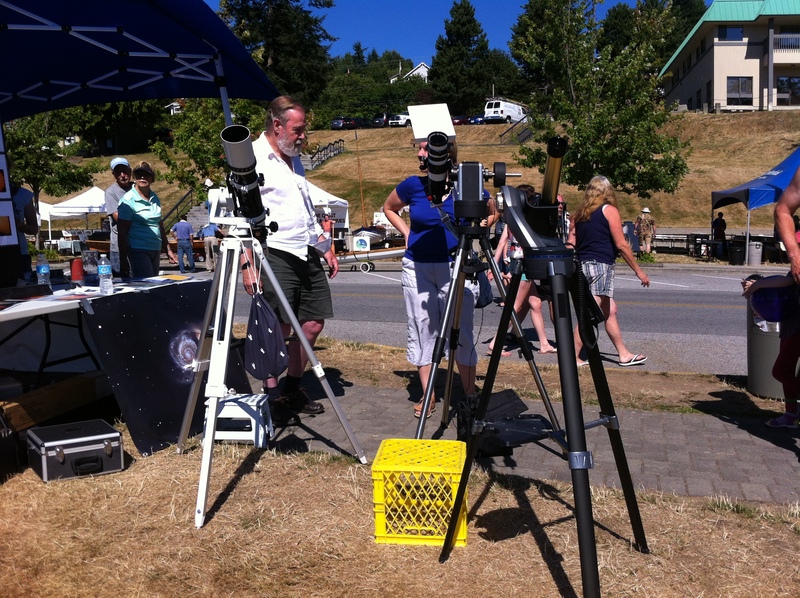 Our RASC Centre will be there near the bus stop in Winegarden Park from 10 AM until 4 PM with our solar scopes to view sunspots and solar flares and an information booth. We hope to see you there! This is the first time we’ve attended this event and we hope to make it a regular addition to our schedule in the future.